These are beautiful Rose Quartz Crystal Merkabas wrapped in sterling silver. 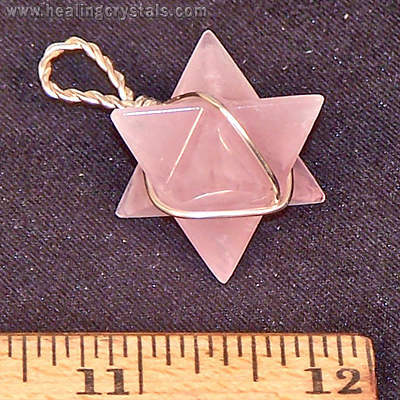 Rose Quartz is one of the most popular metaphysical stones. Rose Quartz opens the heart to compassion for self and for others, and raises self-esteem.